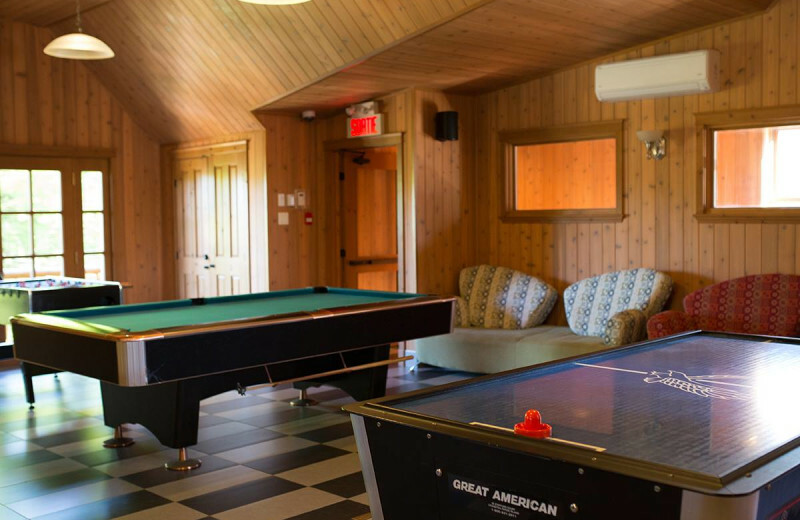 Fiddler Lake Resort is more than a Quebec area resort – it's a complete Montreal mountain lifestyle experience. 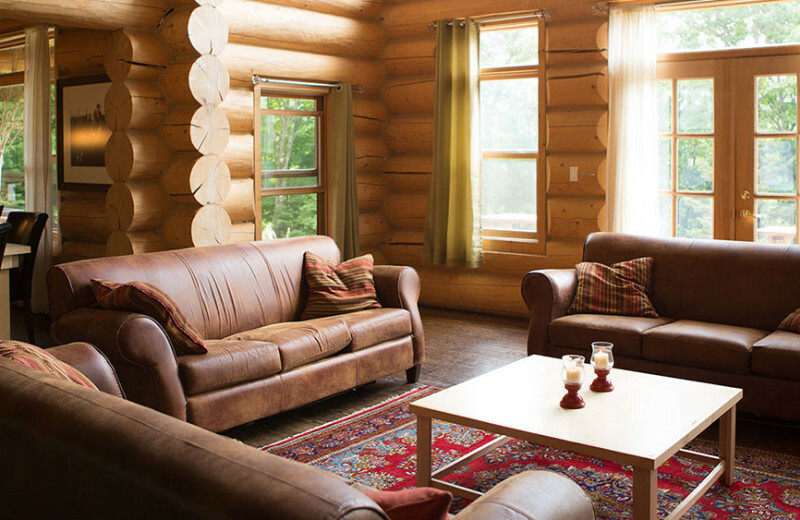 Its 86 two- to six-bedroom luxury log home rentals, all within a gated resort community, are just the beginning of your Laurentians vacation. 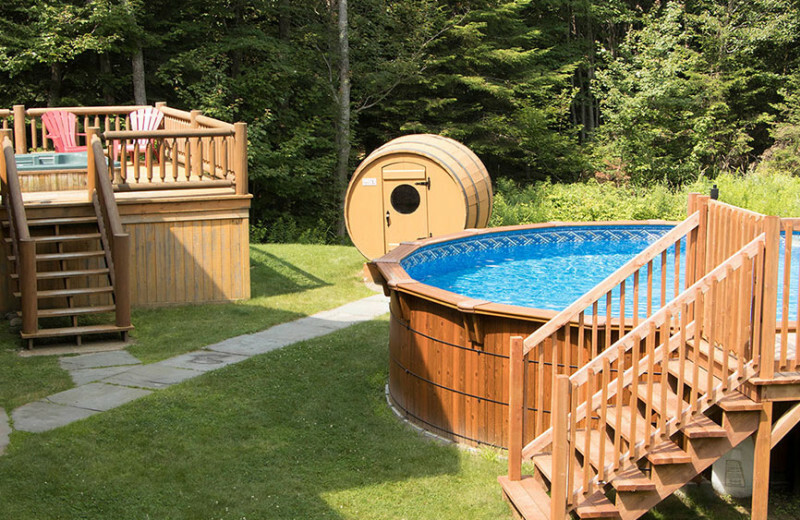 Each has its own barrel sauna, six-person hot tub and distinctive style that wraps you in warmth and beauty near Morin-Heights and Mont Saint-Sauveur. Features like stone fireplaces, loft-style bedrooms and high-end furnishings combine with resort-style amenities including an outdoor pool, an indoor salt-water pool, a game room, tennis courts, and much more. Adventures are at your doorstep, including summer fun on Fiddler Lake and winter thrills on the slopes; the concierge service can help you arrange the details for an unforgettable Mille Isles getaway! 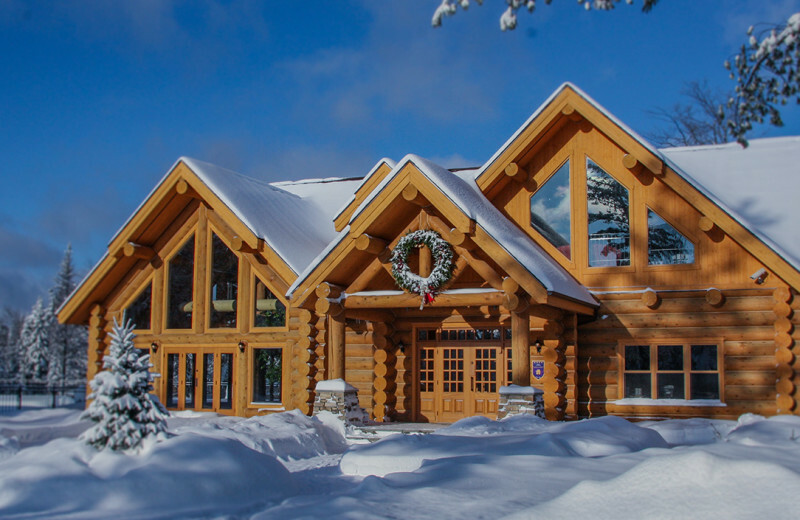 Each of the luxury log homes at Fiddler Lake Resort is suitable for a terrific Laurentians family vacation, with six-person barrel saunas and outdoor hot tubs. 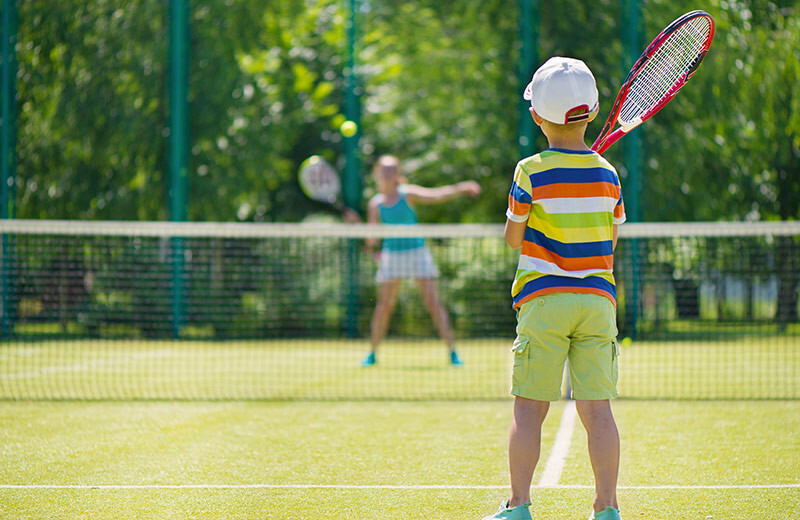 Tennis courts, an indoor salt-water pool, an outdoor pool and a game room are onsite. Or, if you're looking for a little more adventure, head out into the mountains for a hike, or explore the waters at Fiddler Lake! 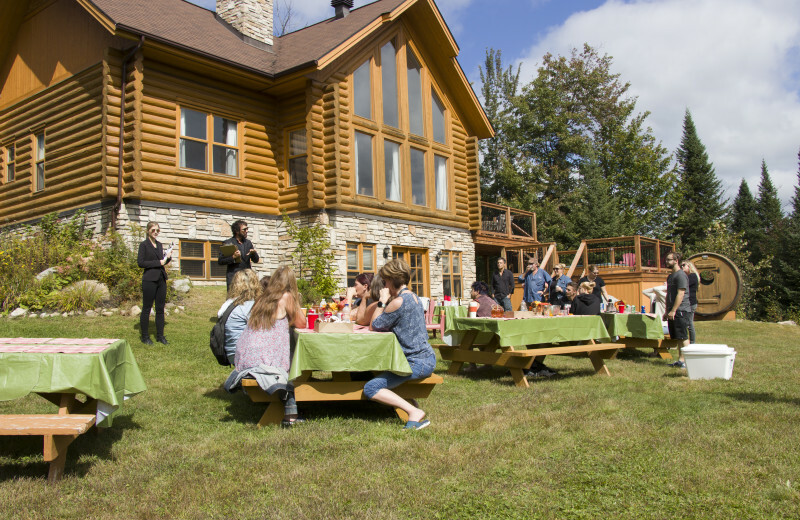 Whether you're planning to host a birthday party, bachelorette party, staff appreciation day, baptism or company meeting, Fiddler Lake Resort can accommodate your event. They can host groups up to 200 guests and offer their spacious outdoor marquee tent. Their staff can help you create a custom event to suit your needs! 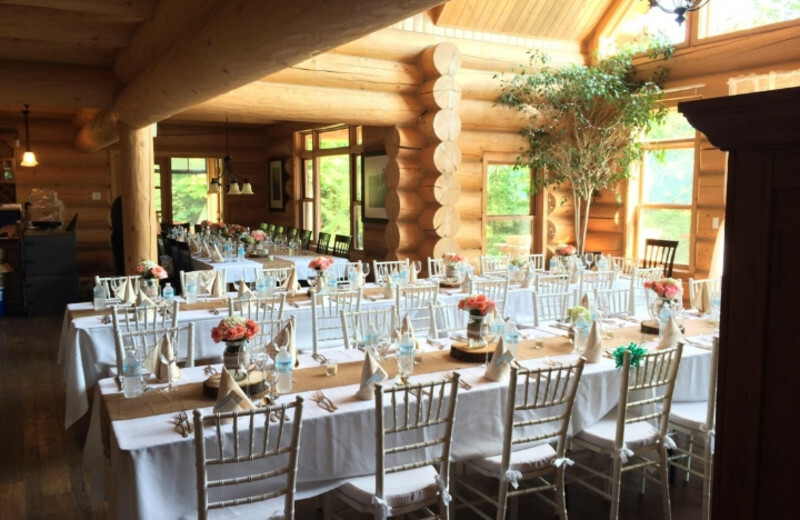 Try the Executive Moose Tree Chalet, with room for up to 40 guests! Audio/visual rental services are also available. 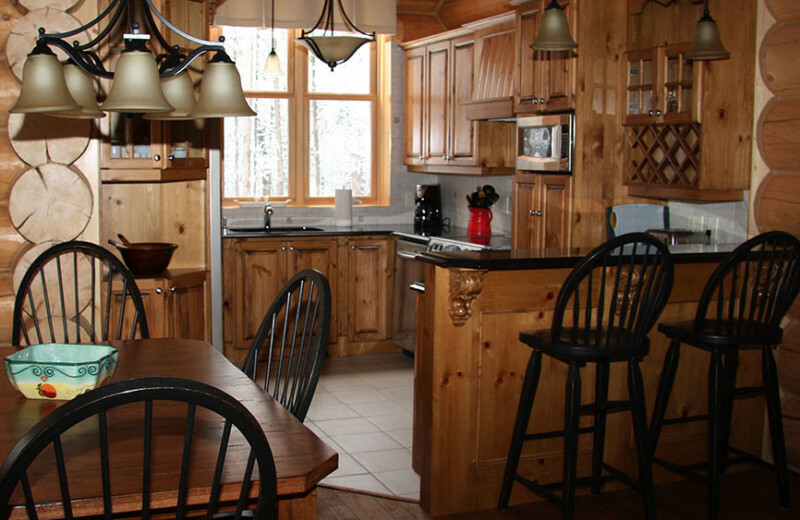 Fiddler Lake Resort offers a selection of log vacation homes that's almost as broad as the on or off site activities – ideal for your Mille Isles family reunion. Let their professional staff assist you in planning all the details to ensure your group has a great time. 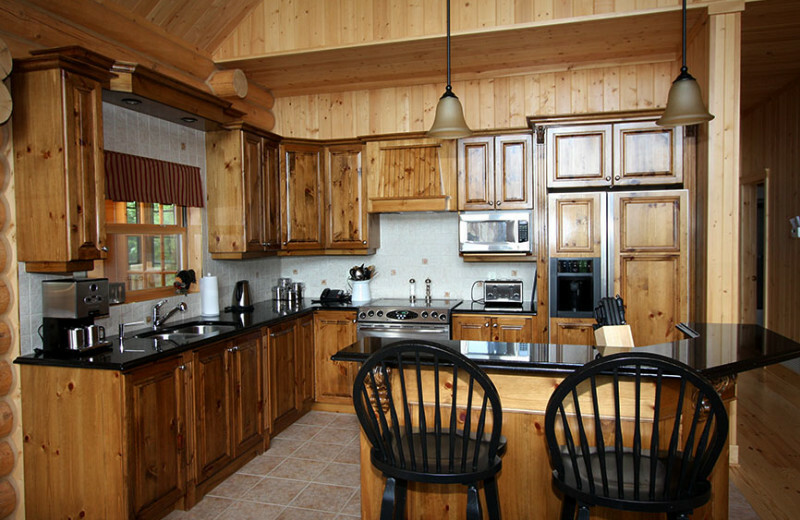 The assortment of lodging ensure that you'll find the accommodations that are perfect for your group! Live the dream and have the memories of a life time! 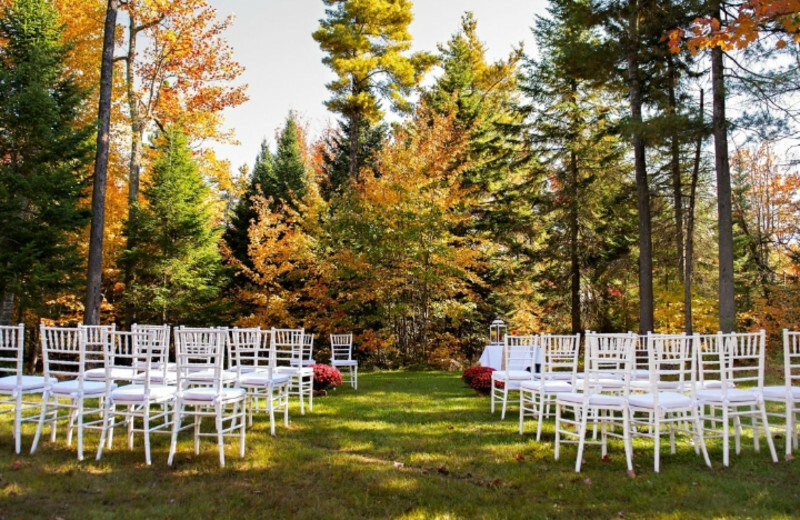 Fiddler Lake Resort offers what few others can; a fairy tale wedding in the magnificent splendor of nature! The days of the “cookie cutter” banquet room with floral carpet and upholstered walls are behind you! You now have the opportunity to create your own magic; an outdoor wedding under a tent which offers a great deal of flexibility in designing your very special day. 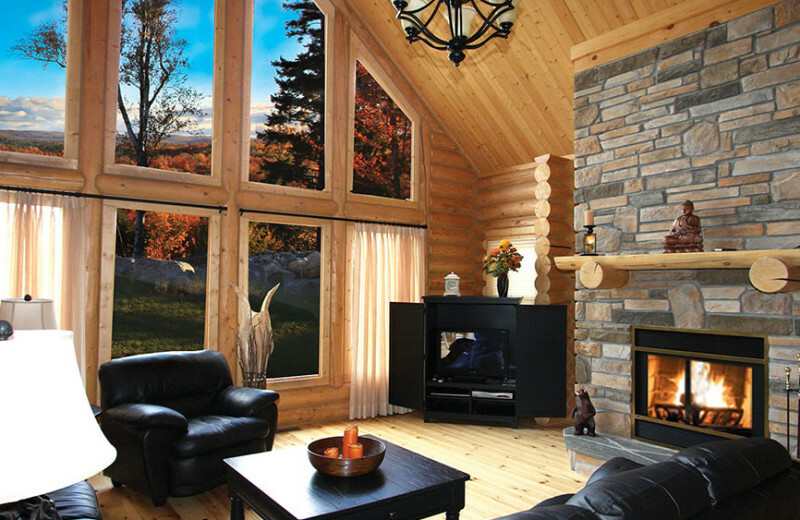 The privacy of your own luxury log chalet creates the perfect setting and celebration! 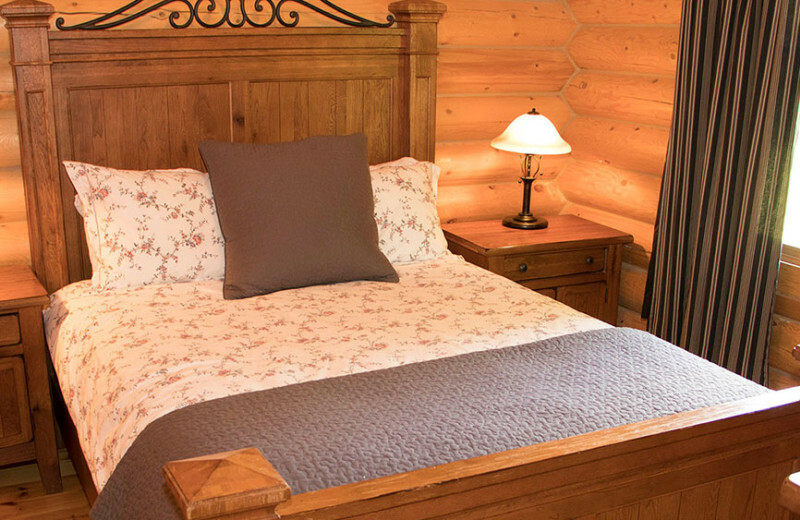 Experience your own happy ending at Fiddler Lake Resort. 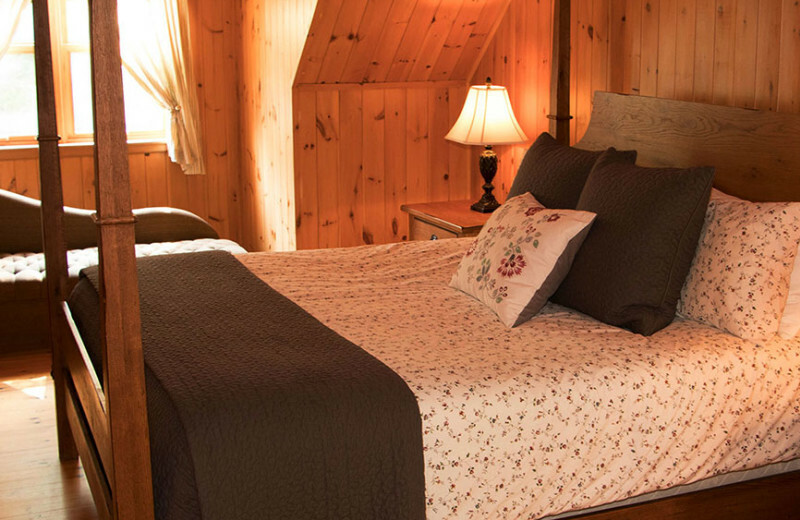 Situated among the Laurentian Mountains, Fiddler Lake Resort provides a truly romantic experience. 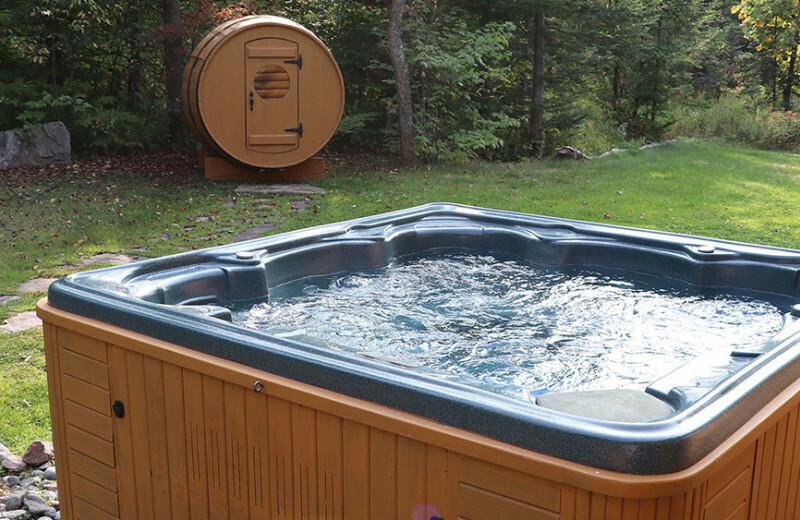 Enter your luxury log cabin with its own outdoor hot tub and sauna and let the resort concierge tend to details including gift baskets, restaurant reservations and more. 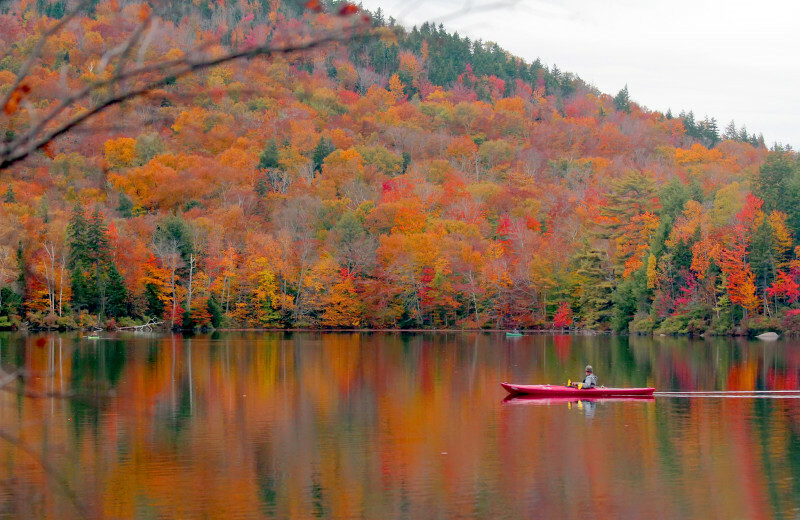 When you're looking for a bit of adventure, then the beautiful Laurentian Mountains are at your calling, offering activities such as biking, hiking, and fishing. This is a Mille Isles romantic retreat you'll never forget! Though Mont Saint Sauveur is known as Canada's night skiing capital, it's just one of four Laurentians ski resorts within a short distance of Fiddler Lake Resort. 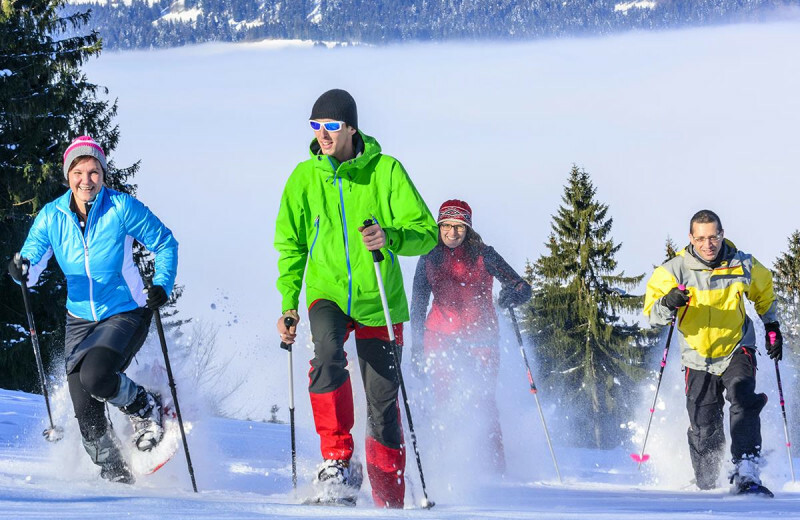 Morin-Heights Cross-Country Ski Club, with its 150 km of groomed trails, is just five minutes away! There's skiing of all types and for all abilities. 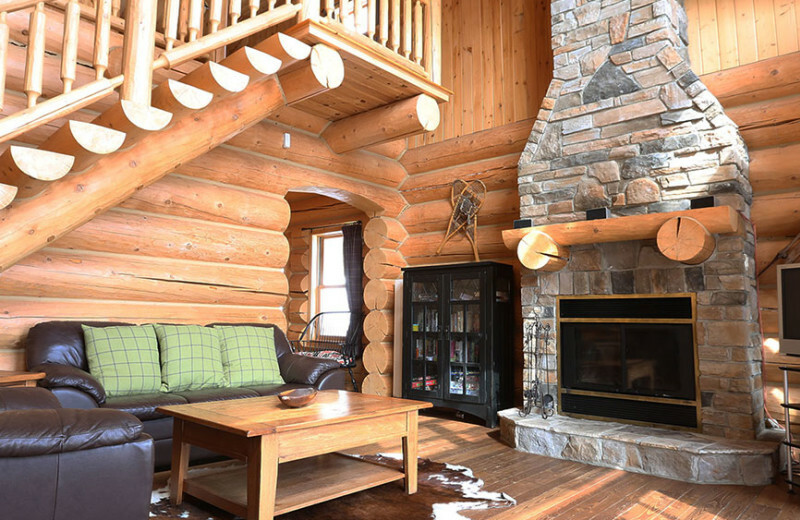 And at the end of the day, your log cabin rental provides the warmth and wonder of a ski lodge, with more privacy and personalized luxury! Fiddler Lake Resort features distinctive mountain-style luxury that begins at the gates to its exclusive Mille Isles resort community. 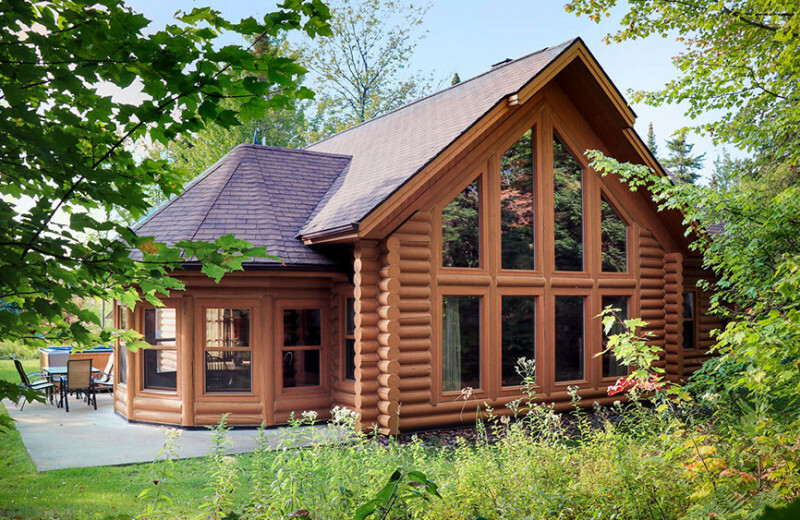 Each of these log homes has been built with the utmost attention to its architecture and design, with the finest amenities from flat screen satellite televisions to private outdoor hot tubs. There's something to suit the preferences of even the pickiest individual. 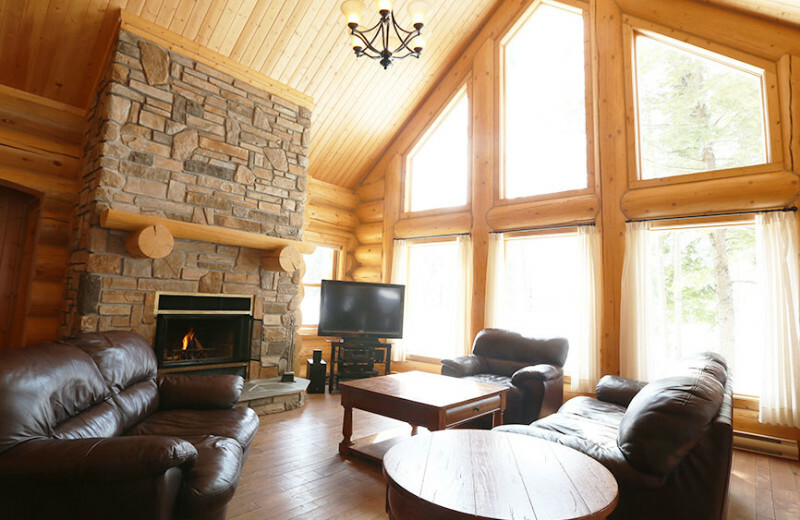 Fit for a king, stay at Fiddler Lake Resort. 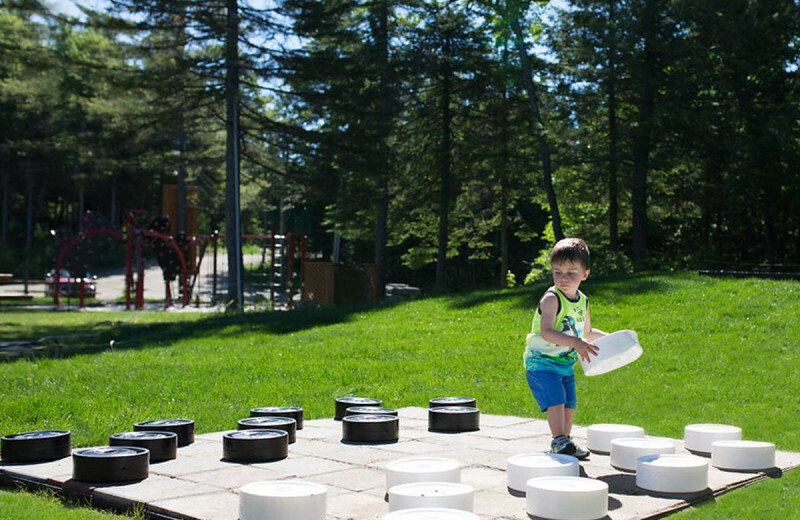 This part of the great Canadian Shield is on full display at Fiddler Lake Resort, surrounded by the Laurentian Mountains near the Valley of Saint-Sauveur. 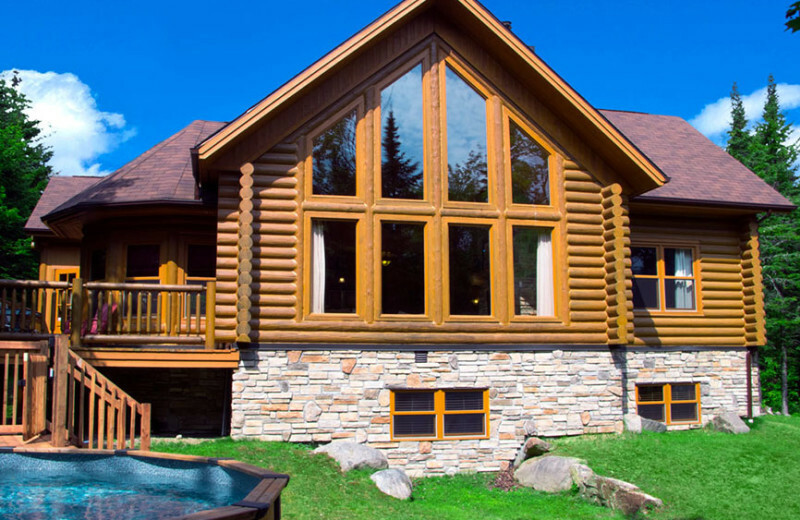 Your resort vacation combines comfort and luxury with incredibly varying landscapes, a paradise for Quebec-area fishing, whitewater rafting, skiing and much more. It's a mountain retreat like no other! 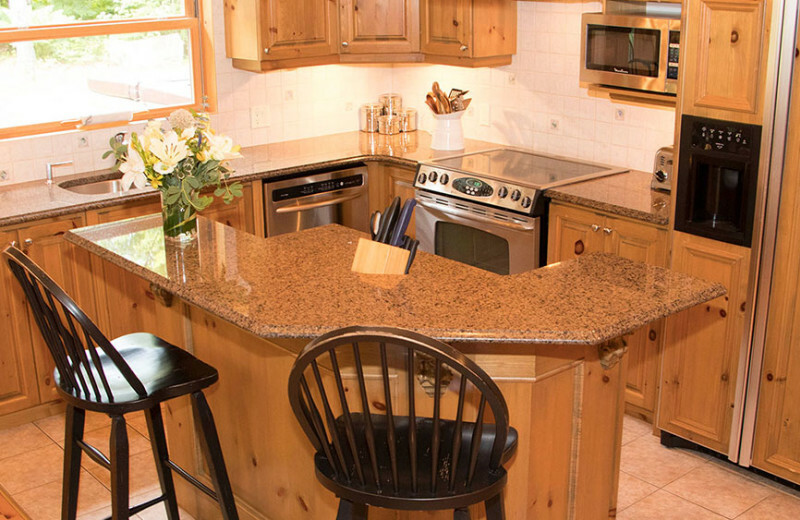 While each of the Mille Isles vacation rentals at Fiddler Lake Resort are breathtakingly beautiful on their own, the beauty increases with their locations on the shores of Fiddler Lake. 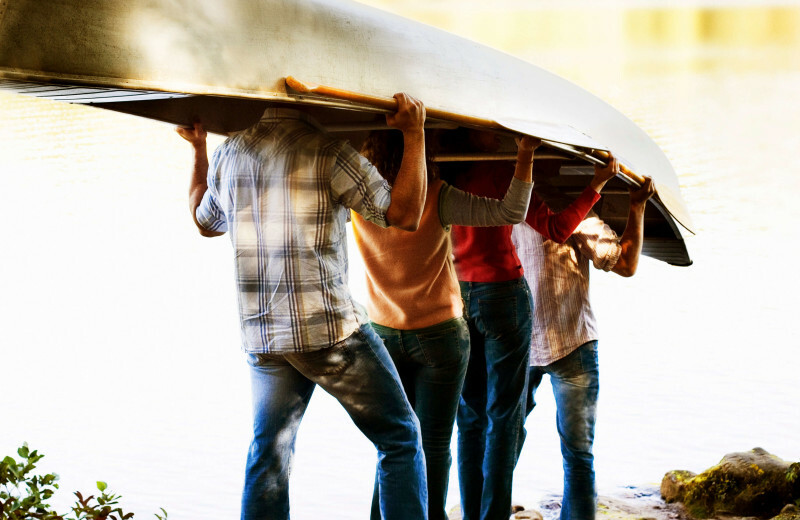 The calm bays and endless recreation are just steps away; spend a day exploring the water on a canoe or kayak, or cast your line for a relaxing fishing excursion. 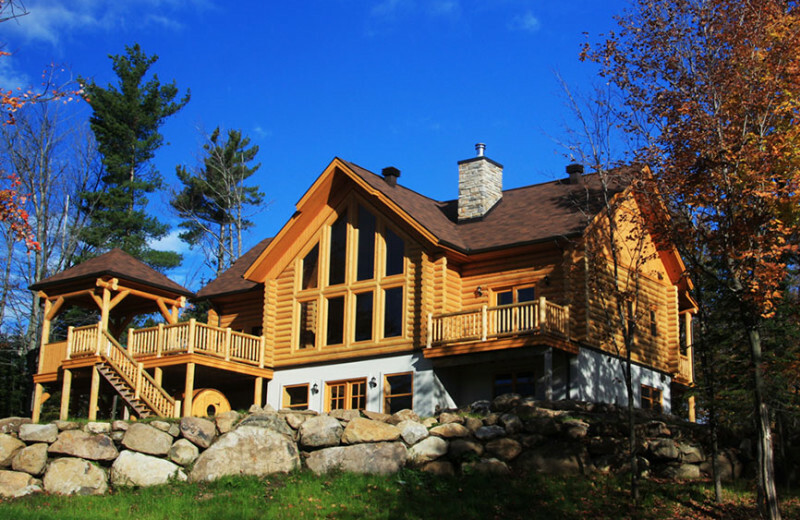 The lake views from your luxury log home complete your Quebec vacation. 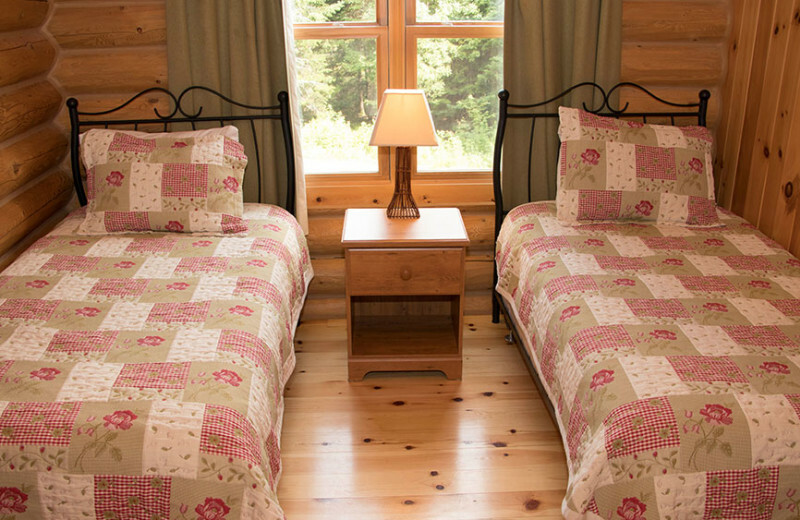 A vast selection of luxury log cabins includes chalet-style homes with up to six bedrooms at Fiddler Lake Resort. 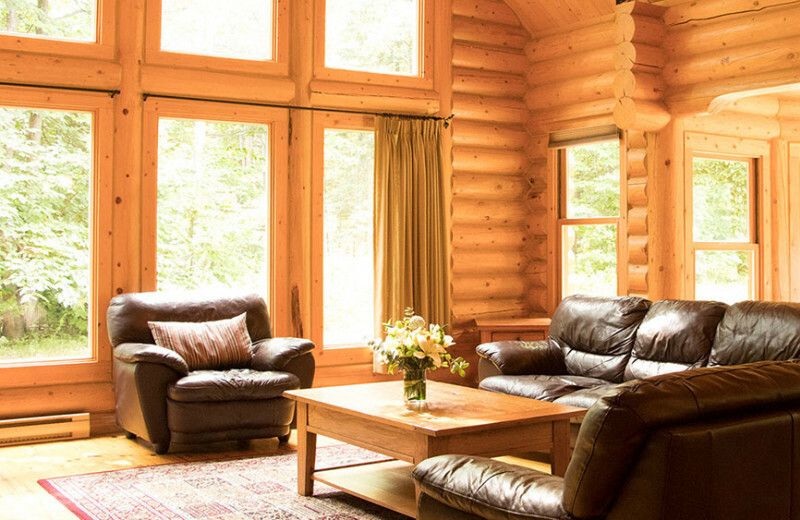 Exquisite architecture and design including Engleman spruce logs and stone fireplaces combine with luxury amenities including flat screen satellite TV's, cathedral ceilings, full gourmet kitchens and much more to create the ultimate getaway! Whatever you're looking for, you'll sure to find it at Fiddler Lake Resort! starting at $255 Week at its Best Special Offer! 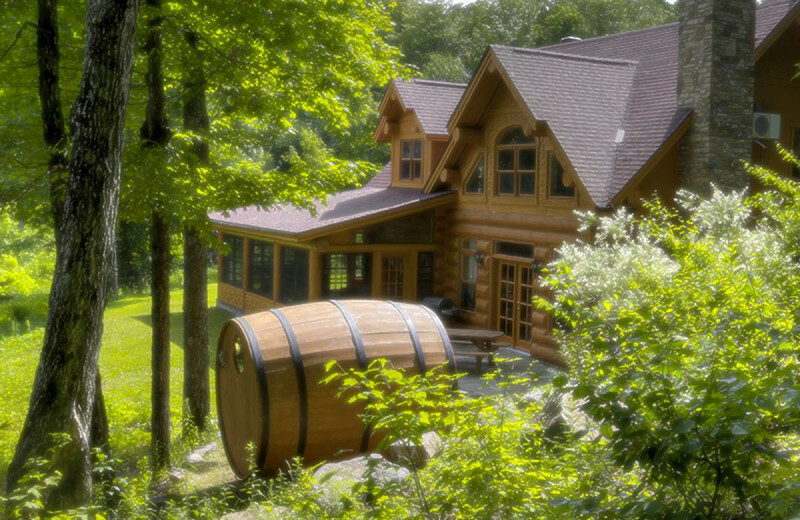 This property is ranked number 1 on Top Quebec Fall Romantic Getaways. Read about it here.